Most of the women wear wonderful sarees wrapped in intricate ways. The colour choices and natural pigments represented are so harmonious, and beautifully accent the curved elements and decorated borders. 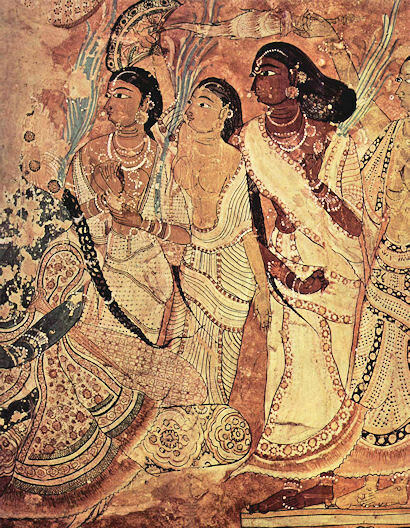 These designs could be reproduced on sarees today and still look cool, delicate and fashionable. No cholis were needed 450 years ago, but I suppose we’d better have some now.